It was about day 4 of my generosity experiment and I started noticing that if generosity was going to have the impact on my life that I had hoped for I couldn’t just wait for opportunities to present themselves and hope I was ready to take action. So I listed out a few things I could do to be more intentional throughout my day. 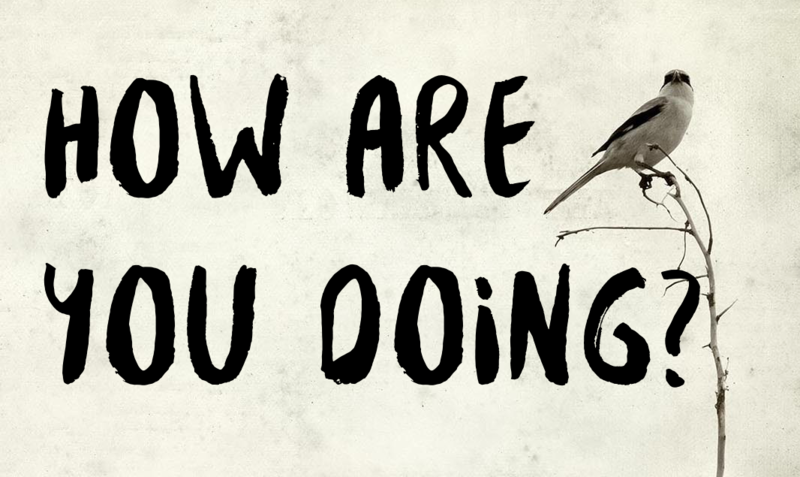 I started carrying smaller bills, I put my phone away when I was in waiting rooms, I developed a second question to ask after the obligatory “how are you doing”. Me: I love to hear people having a good day, what is your secret? Did you feel it? Do you notice the door that was opened by the second question? Did you feel like I actually cared about the first question? After making the list I started out each day with these ideas on my mind to be intentional, to seek out the blessing generosity had waiting for me. One such day I decided that I had been missing opportunities because I lacked the time, always running from place to place, late most of the time, I always had an excuse. So today I was going to intentionally eliminate the excuse by leaving with ample time to run my errands. I set out on my first errand and I barely got out of my neighborhood before I got my chance. I had expected to to be helping someone change their tire or jump a battery but the experience I actually got changed me. I had just pulled up to this intersection, you can see it has no light. I was turning left onto this busy road. As I was there waiting for traffic to clear so I could be on my way to help someone, I noticed across the street there was a little white pickup engulfed in dust that it had kicked up from swerving back and forth on the unfinished shoulder of the road. You can probably imagine the thoughts going through my head. This must be a kid that just got his license and had no idea how dangerous what he is doing is. Sitting there in my judgment of this guy driving this little white pickup I notice that he was not the only one over on the other side of the road. I see walking out of the dust a young woman walking with a little girl that could not have been more than three years old. As soon as the truck would bolt out of the dust it would turn back around and speed toward the women and her child. They would maneuver just so and the truck would miss them. At first, I rationalized what I was seeing. They both are just young and stupid, they are just goofing off. What am I going to say, ‘hey stop goofing off” just to have them laugh at me? But then it hit me!! After watching this man in the truck turn around several times trying to hit this woman it dawned on me that she was in trouble. But the rationalizations kept coming, I am sure they will get it figured out, it’s none of your business, you have other people you planned on being generous too. And on and on. I bet you’re all thinking that I just skipped on over there and helped her right? I didn’t! The rationalization in my head won out. It was like two court lawyers arguing a case before a judge for this woman, one that said “don’t worry you’re still a good person find someone else to help”, won. I passed her looking in my rearview trying to see what would unfold and it hit me. This is the very intention I had set. It presented itself and I had to act. I flipped my truck around and pulled to the side of the road just as the little white pickup was getting to take another run at them. I went to put down my window but before I was able to get it open enough to talk to her she opened the back door threw her daughter in like a bag of potatoes and jumped in after her and yelled GO! I did, I went fast taking her and her daughter out of there and to safety with me in my truck. She later told me that the man in the pickup was an ex-boyfriend and the father of her child. He had been mentally ill, he had done stuff like this before and they were in the middle of getting a restraining order. I reflect on that day often, what would the outcome have been had I not been intentional about my actions that day? What if I had not followed through with my intentions. It was not just the women and her child that were affected. Can you imagine if that man had been successful? The regret he would have had from a choice he made in a poor mental state?The families of both sides and the loss they would have experienced? The first responders who would have had to witness the terrible situation? The list goes on. Just as it was with this story our choices have a far greater impact on not only ourselves but on the world around us, then we realize. If there is something you want in life it will most likely not just appear in your path, that’s not how life works. It makes no difference whether you are trying to increase your generosity, have better relationships, grow your business, or improve a skill. Using hope as a tactic to improve is doomed to fail. 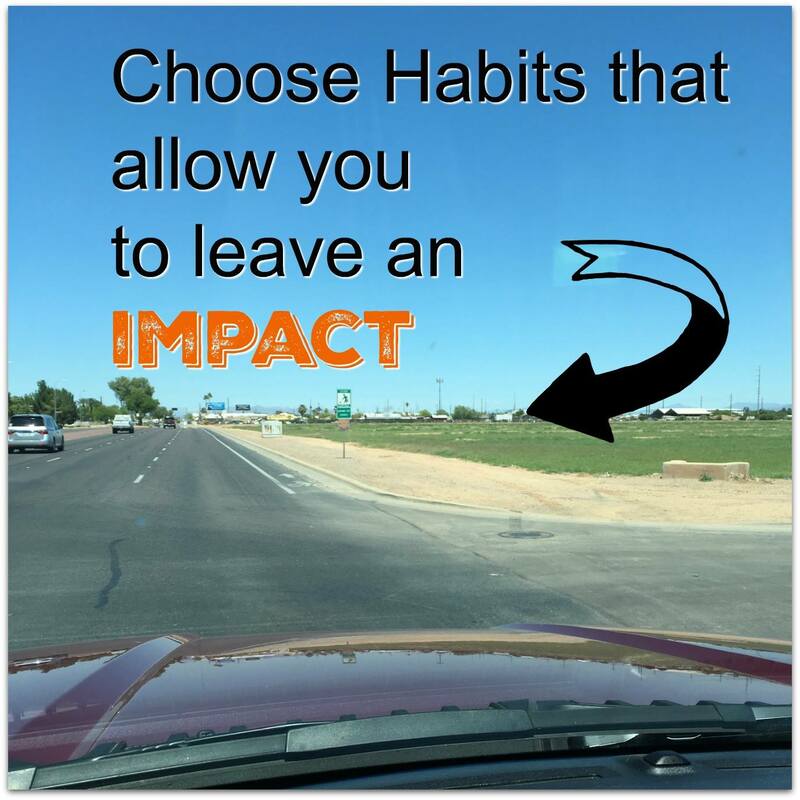 There are three tactics you can use when trying to be more intentional in any area of your life. Become aware of your current location. Wake up. Where are you in relation to where you know you should be? Don’t beat yourself up. Simply acknowledge your current reality. You can’t go somewhere else until you acknowledge where you are right now. Decide where you want to go or who you want to be. The essence of life planning is envisioning a better future. Let yourself dream. What kind of health do you want to possess? What kind of marriage do you want to enjoy? What kind of career do you want to have? Why settle for drifting to a boring—or even dangerous—situation. Start working toward your destination. Once you have acknowledged where you are and decided where you want to be, you can begin paddling in the direction of your goals. Yes, it will take work. But, when you have a plan, every day becomes an opportunity to move toward your destination. 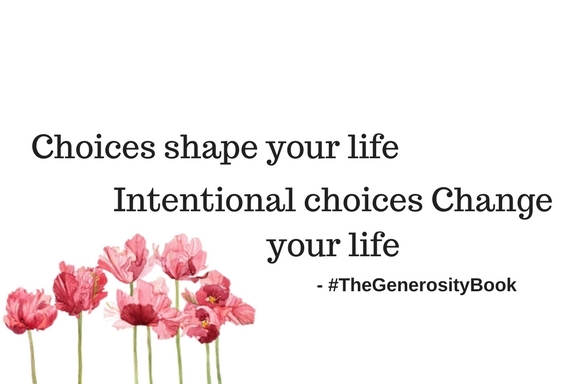 Choices are the most powerful tool we have we might as well be intentional about how we use them.